Adorama substantially discounted their Fujifilm XE-2 + HG-XE1 Hand Grip Combo today for a total savings of $300. 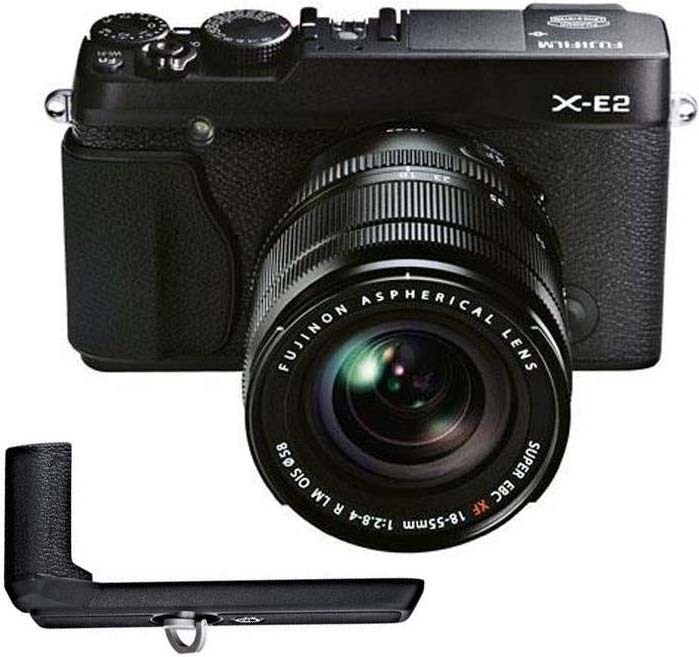 If you’re new to Fuji than there is an even better XE-2 deal available on Adorama at the moment. You can get the Fujifilm XE-2 + XF18-55 F2.8-4 R LM OIS + HG-XE1 Hand Grip Combo for a total savings of $500. You really can’t go wrong with either combo, but if you don’t own the 18-55 it is a great lens. This entry was posted in Fuji deals, Fuji X-E2 and tagged Bundle, Fuji Rumors, Fuji XE-2, Fujifilm, Fujifilm Rumors, FujifilmRumors, Fujinon XF 18-55, Fujinon XF18-55 F2.8-4 R LM OIS, Fujirumors, Hand Grip, HG-XE1, XF18-55 F2.8-4 R LM OIS. Bookmark the permalink. Trackbacks are closed, but you can post a comment.